Send your sweetie a dozen pink roses, hand arranged this gift will add romance to any day of the week! Hello sunshine! Yellow roses symbolize feelings of appreciation, joy and delight. 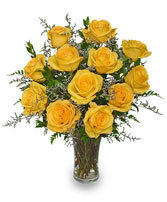 You will indeed delight a very lucky person with dozen long stem yellow roses! We also offer a eighteen roses for $110.00 or two dozen stems for $145.00. 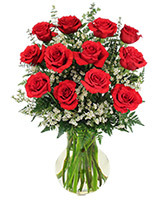 Express your love with this magnificent display of two dozen long stem roses! 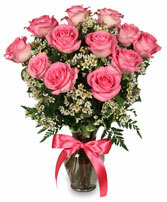 We also offer a classic dozen roses for $79.99 or three dozen roses for $249.99. 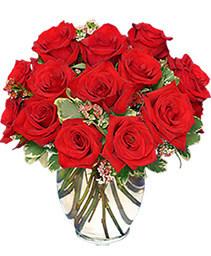 When the message needs to be clear, send beautiful red roses! 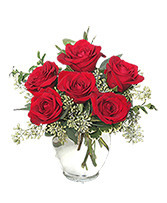 True romance will blossom when this gorgeous design featuring red roses arrives! 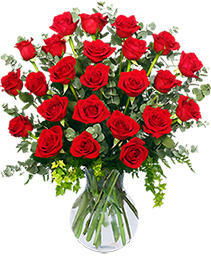 The design pictured features a half dozen 50 cm roses, options include upgrading to a full dozen or eighteen stems. 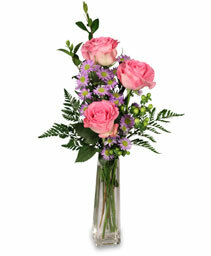 We look forward to designing your special delivery! 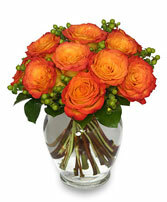 Gorgeous Roses from West County Florist in Ellisville, MO always make a stunning impression! We design with long stem roses, sweetheart roses and spray roses purchased directly from award winning growers in California, Columbia and Equador. 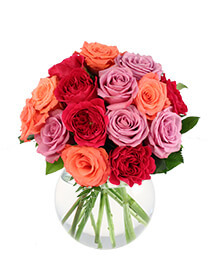 We feature beautiful colors such as red roses, yellow roses, white roses, pink roses among others. Order a charming bud vase or send a stunning two dozen roses, browse our rose pictures to find the best arrangement of roses for you. If you have a special request please give West County FLORIST a call, we can arrange roses in a variety of designs to suit your special occasion! We offer same day delivery in Ellisville, Chesterfield, Ballwin, Wildwood, throughout St. Louis, coast to coast and worldwide. 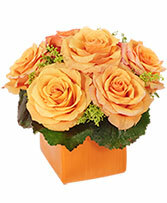 Whether your style is traditional or modern, send your message of love with roses from West County Florist today!